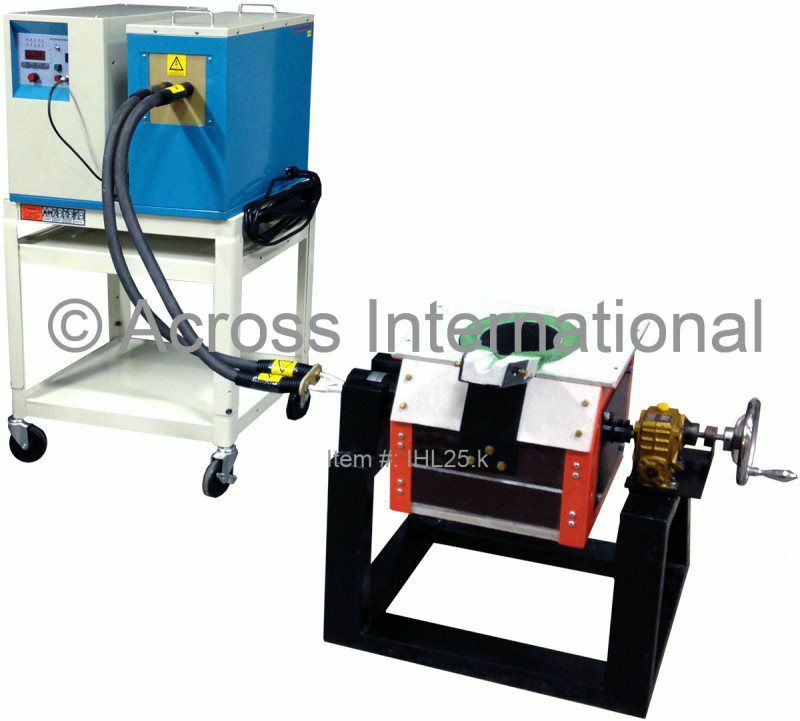 There are three major components to the system: the power supply, the compensating capacitor/transformer and the induction coil/smelting crucible. Our heaters automatically adjust to the best resonant frequency in order to achieve the most efficient overall heating results based on our customer's requirements which include heat penetration, heating efficiency, operating noise and electromagnetic homogeneity. 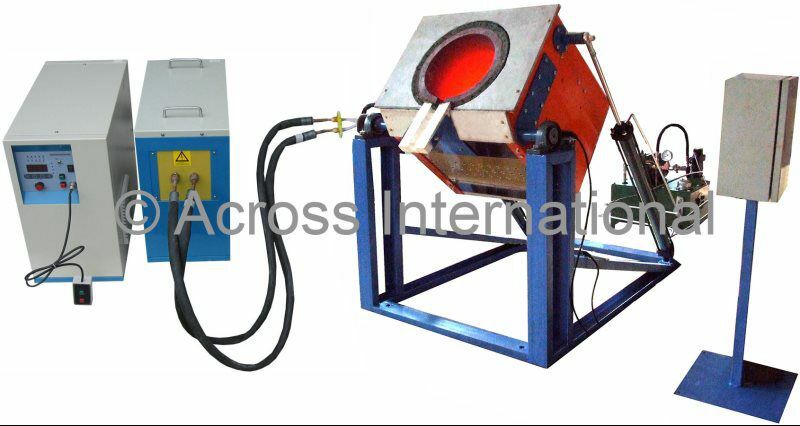 Two of our most popular low frequency machines are the Melting Furnaces with Tilt-Pour Melter and Auto-feeding Rod Heating Furnaces for Forging. Always wear protective gears and goggles when operating the machine. Crucibles must be covered all the time during operation. Across International is not responsible for any injury or damage caused by misuse. Relatively light weight, portable, instant heat and up to 90% energy savings. Procise control with digital output, frequency and current displays. 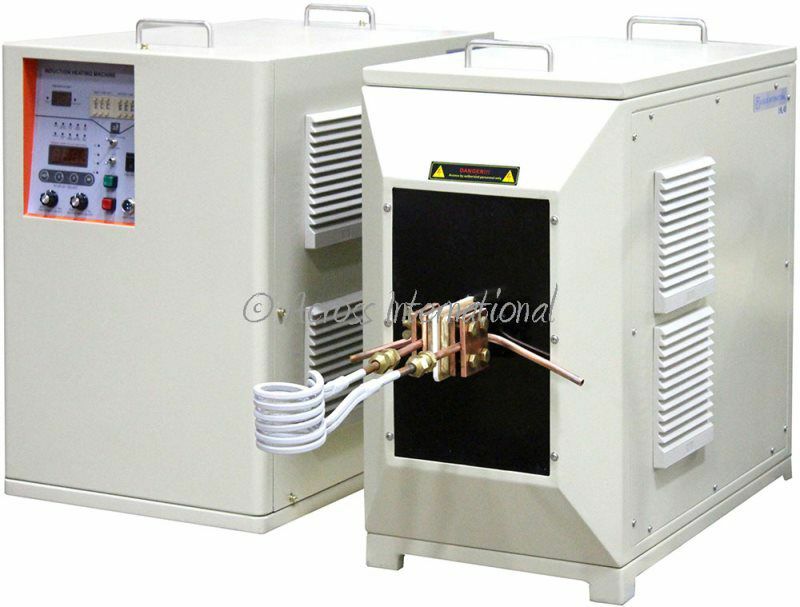 Power supply: 55 Lb, 18 x 10 x 18"
Optional 4P chiller: 37 x 22 x 54"